A fine floral machine embroidery design in cutwork lace technique. 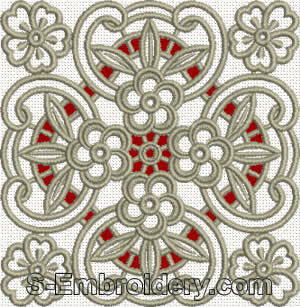 This lace design will make a beautiful decoration for table cloth, pillow case and other embroidery projects. You receive 2 machine embroidery files as well as design information in PDF format.